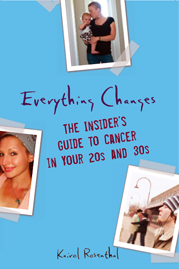 Everything Changes – The Guide to Young Adult Cancer » Traveling With Cancer or Chronic Illness? Traveling With Cancer or Chronic Illness? For some people, cancer has made them live larger. I’m not one of those people. Whether I’m traveling for work, to see my out-of-state doc, visit family, or on vacation, cancer has made me a more neurotic traveler. My first year and a half of traveling to New York for doctor appointments, I tried to make a gloomy reason for visiting New York more fun and productive. I jammed in media appearances, meetings with my agent and editor, dinners with friends, and museums and performances. But I wised up this past December: I was in and out in for my doc appointment in less than 48 hours, with one short radio show and a lunch meeting. The stress of waiting for big test results was much easier with a pared down schedule. Does it stink to miss out on the fun of New York? Yes, but boo-hoo, sometimes life with cancer isn’t sparkling fun. Pat Galen Steer, who comments often on this blog, found a way to make her monthly medical trips easier. She dedicated one backpack and lightweight rolling bag for her medical trips in which stored an all-seasons wardrobe. Upon returning from her med-trip she’d do laundry, repack the bag, clean out and organize her medical notes, and replenish her toiletries, makeup, and ostomy supplies. This system reduced her monthly travel to-do list and made the trek smoother and less worrisome. The new traveler in me feels 67-years-old instead of 37. Before cancer, I camped, traveled on $15/day, thrived on the adventure of winging it, and had a cool collection of pictures featuring me on tropical mountain tops. Now when I go on vacation I want a comfortable mattress, to eat in restaurants I know are super clean and safe, and on beach trips get some shelter from the sun (reducing my risk of skin cancer). So I vacation much less often but do it in a bit higher style – and with an extra supply of prescription drugs tucked away in my carry on. Has travel changed since your illness? Do finances/ medical debt. impact your traveling? What are some of your best and worst traveling with illness stories? What tips do you have for making traveling with illness go more smoothly? Read Everything Changes, to learn about discounted and free places to say for medical travel. I’ve been sick since birth so while I have always traveled, my attitudes have changed the older I’ve gotten. I have progressive diseases and though I have better control of them than ever before, I get sick more easily and more often now. In college I lived abroad for a year and traveled all the time; I brought all my meds with me and had a specialist all set in Dublin before I arrived so my risks were calculated. Almost a decade later, I can’t imagine doing that kind of traveling again. Every time I take a plane or train ride I come home with a lung infection that lasts for weeks. As a result of my correct diagnosis at age 23, I know do lung physiotherapy every day, and the machine I bring when I travel is heavy and because it’s expensive, I worry about jostling it. I miss being as spontaneous as I was, and I do still enjoy short, quick trips, but I’ve accepted less travel. I’m sick pretty often and canceling things at the last minute gets old, and once I am fairly healthy, I don’t want to jeopardize that by catching another infection. Interesting topic! I actually find I travel more when I have the opportunity. Visit friends more often and try and hit my “bucket list” locales with more fervor. I’m in Austin for three months just to escape the cold of Chicago and ease my treatment. I’m enjoying trying out a new style/quality of life and adjusting my routine. It keeps me alert and motivated to stay active and explore. I will probably shy away from remote parts of foreign countries from now on, but major cities in developed nations? bring it on! I’ve had some of the best, most affordable care in Italy and Argentina. Not for cancer, but for a horrible flu and a heart arrythmia. In Rome – they sent an English speaking Cardiologist to my hotel room. I got an EKG, prescription, and a good 90 minutes of the docs time. Price? $200 US. Had I been an EU citizen it would have been free. I guess since I’ve managed to injure myself or get sick in several foreign countries, I’m less afraid of the situation. However,I NEVER travel without comprehensive travel insurance. I’m adventurous, but not careless. Interesting topic as usual. From the perspective of a 10 year survivor, I can’t say having cancer has hampered my travel or adventure bug. I’m still keen on hiking and adventuring. My wife and I recently spent a week in Mexico (at a nice resort with clean water and more food than I needed), but we still found the means to scale some very steep Mayan pyramids, did some cave snorkeling and zip-lining. If anything has made me think twice about adventuring, it’s becoming a parent….thoughts of my son seems to be the best security check before embarking on something risky. Over at my non-profit for young adult cancer survivors (Defy Adventures), we’re using adventures to help fellow young adults reclaim their spirit after cancer. Later this year, we’re planning a trip to Peru for young adults who have faced cancer and are able to take on the challenge. I *want* to travel more often; I don’t always get the chance to do that. I have a vintage tiny travel trailer, a primitive no-water/no-electricity camper that I love to take to local state parks – but my days of camping along, tenting and going off the grid are long gone. In the little trailer, I have a memory foam mattress and it’s warm and dry! I was only cleared to fly a year ago; before that, I was limited to where ever I could go with buses, trains and car trips – plenty of fun, but it meant I spent a lot of time getting to/from the destinations. Last year I was able to fly to Orlando FL for five days, my first time ever in Florida, and I had a blast. I’d love to go back; I could spend a week at Seaworld. This March, I’m going to D.C. for the first time since I was a kid – again, I can’t wait. I long to be a one-bag traveler again – since the last surgery I need to devote a tote bag to a few days’ worth of incontinence supplies, before I even think about packing other things. For the flight to Orlando, I tried to carry with me only the supplies I’d need for a couple days. But it still meant that when the TSA agent pulled me aside for a full luggage check, they opened my case up to find it half-full of Depends. 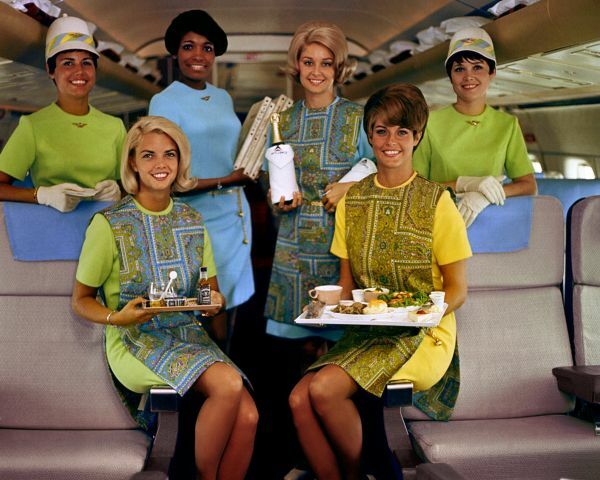 That was a special moment – but at least the agent decided my Depend and Poise pads weren’t a threat, ended the personal inspection as fast as possible and I made the plane. ;) And I did make it aboard with my little case and a backpack, without checked luggage. But I only made it back by shipping home everything I purchased. This topic brings three things to mind. 1. Traveling pre-surgery/treatment was scary. I swore every other person was sneezing or coughing. I brought multiple 3 oz bottles of purel and would wipe down everything, especially plane seatbelts. I was just too afraid of catching something and having to delay my progress. 2. Vacations aren’t as fun when I’m constantly applying sunscreen or trying to find a way to protect (and better heal) my neck dissection scars. Something about a swimsuit and a scarf doesn’t just look right. 3. I have become more adventurous. I’ve tried skydiving and ziplining since my cancer diagnosis and loved both. There’s something about cancer that makes sports like that not seem so scary. Thanks all for your comments! Jen – Nice to know that you are having the total opposite experience from me. Cancer has made me more afraid of adventure sports – I get freaked out to even hike in the woods sometimes. Prior to cancer I never felt invincible, but since cancer I feel even more so breakable, more so afraid of injury, and hyper-cautious about doing anything that could land me in pain or an ER room. Essentially, cancer made me a wimp! I travel to see a specialist for my chronic migraines / chronic daily headaches, and you’re right that it is incredibly different than traveling for pleasure. I love to travel, but it is so much harder now than it used to be. I have no stamina and it’s harder to control my environment while on the road. I’m getting better at it every time, though. I try to pick hotels that better meet my needs and leave myself plenty of time for rest. It is sometimes possible to work some fun into my trips, but I focus most on resting when I’m not seeing the doctor and his staff because I know I have to.